The outstanding success of the Blue Planet series has perhaps unsurprisingly caught the interest of Netflix, according to a BBC chief. Blue Planet II, the wildlife documentary series which explored the planet’s oceans and was presented by Sir David Attenborough, was a big hit in 2017. BBC Studios chief executive Tim Davie told the Voice Of The Listener & Viewer (VLV) autumn conference in London: “I think a few years ago people were a bit worries about natural programming because drama was all-conquering, but actually, with Blue Planet II and the sequence of landmarks we have got coming up, I think we have never been more bullish about how defining these programmes are. It was announced earlier this month that Sir David is to narrate an eight-part documentary series for streaming service Netflix about “the beauty and fragility of our natural world”. 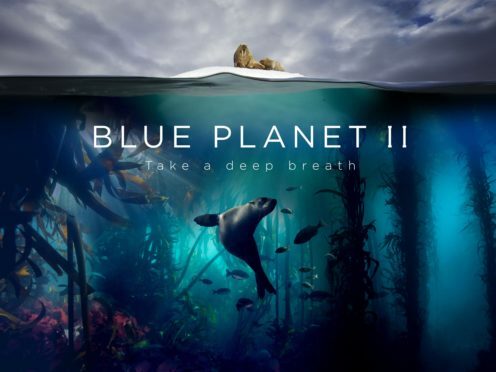 It has been produced in collaboration with Silverback Films, whose director, Alastair Fothergill, made Planet Earth and The Blue Planet for the BBC. It took four years to make and is the first Netflix series for Sir David, who has previously fronted programmes for Sky and digital channel Eden. Mr Davie said the BBC has great strength in this line of work but it has to ensure the right funding is in place, along with “the right passionate people” and that they have the necessary resources. He described the use of innovation as part of the “amazing strength” of these programme-makers. “There is a very young 92-year-old by the name of David Attenborough and he is always pushing innovation. It is amazing,” said Mr Davie. He said he is conscious of the competition and the idea that imitation is the sincerest form of flattery but he thinks the BBC can still “do rather well” in this area. He also said he could imagine working with Netflix. The BBC remains a big attraction for talent, working both behind and in front of the camera, according to Mr Davie. He said: “There is something still incredibly compelling for many writers and many people to be on BBC One and to launch a title in that way. “We are a long way from being a spent force in terms of people thinking about where they write, how they write and, frankly, if they want to work for an American company rather than us.